Good governance and accountability issues have become a serious concern in Indonesia after the economic crisis and subsequent political transition in 1998. 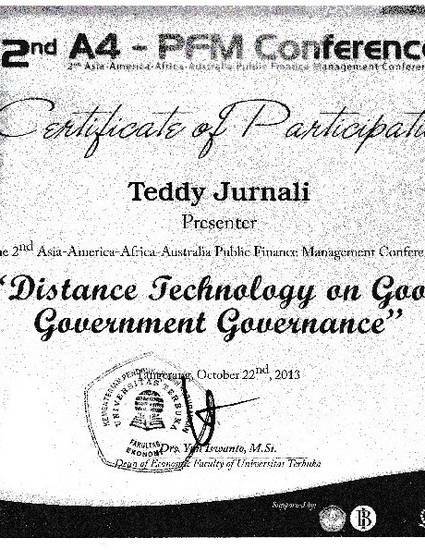 Consequently, the Indonesian government has increasingly drawn attention to the application of performance measurement for the governmental agencies as part of the bureaucratic reform and good governance practices. The purpose of this paper is to review the regulation, guidelines and examine the issues and consequences of implementing performance measurement system in Indonesian local governments using descriptive and analytical method based on secondary data. Although the performance measurement system has been implemented in Indonesia for fourteen years, the result has been far from satisfactory. The PMS regulation is quite comprehensive except there are no punishment and reward system. Some evidence shows some implementation issues such as lack of compliance, lack of integration between planning and budgeting, and inaccurate indicators and data reporting.